Determine if they are unconscious by lightly shaking or shouting at them. If no response shout for help and assistance. Call 999 Ambulance or tell bystander to call 999. Tell bystander to rush and get the closest local defibrillator (see below). Determine whether the person is breathing. If the victim is breathing, you know that they have a pulse. If the victim is not breathing, check the airway is clear. Begin CPR at 2 breaths then 30 chest compressions at a depth of 4-5cm and repeat. When bystander arrives with defibrillator get him to switch it on. Defibrillator automatically gives procedure instructions to use this device in conjunction with your CPR. 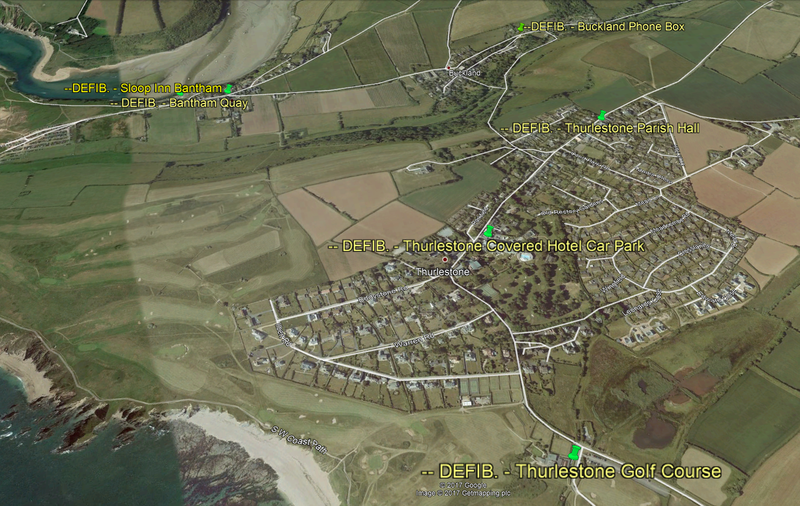 The parish has six field emergency defibrillators for public use prior to dialling 999 and ambulance arrival. Any person can pick up a defibrillator, unannounced. One defibrillator cabinet is locked as shown and can only be opened by ringing the number quoted on the cabinet. 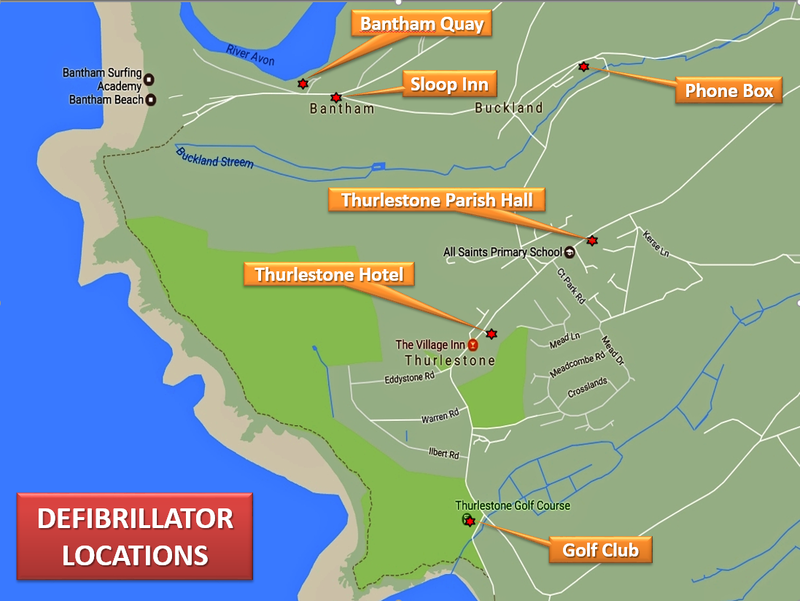 There are many more defibrillators in the wider area of the South Hams.